New Delhi: UPA candidate for Rajya Sabha Deputy Chairman's post and Congress MP from Karnataka B.K. 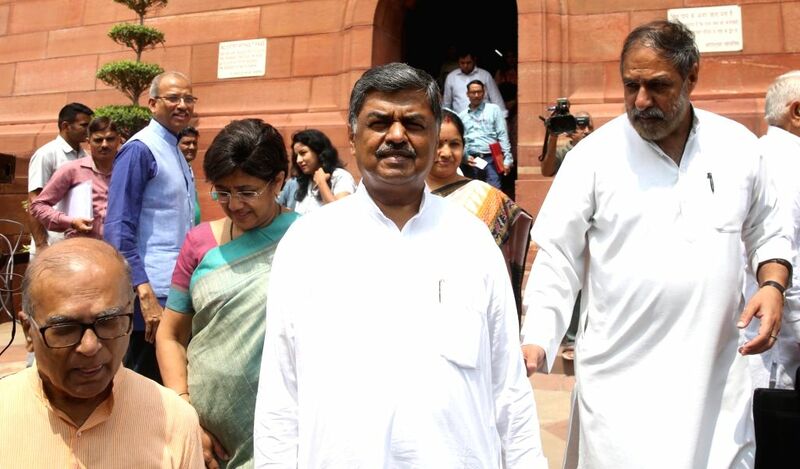 Hariprasad (C) at Parliament, in New Delhi on Aug 8, 2018. Also seen Congress spokesperson Anand Sharma.